Our Teaching from Torah, The Law of Moses will continue from Deuteronomy 3.1-13. AND THE TITLE OF OUR MESSAGE IS, UNTO YOUR DESCENDANTS HAVE I GIVEN THIS LAND FROM THE RIVER OF EGYPT TO THE GREAT RIVER, THE RIVER EUPHRATES. And with that said, let’s read Deuteronomy 3.1-13. In reviewing The Law, Moses told The Children of Israel how they defeated Og the King of Bashan, and Sihon the King of the Amorites. Bashan was in the Golan Heights area of today. While the Amorites were by the Dead Sea, and south of the Euphrates River. All were on the east side of The Jordan River in current-day Jordan. And The Children of Israel also took all of Gilead which is in current-day Jordan. They were huge victories, Moses told The People. They did what The LORD Commanded them to do. The Children of Israel killed both Kings, who with all their people came out to fight against Israel. But The armies of Israel killed all their people that there were none left remaining. And they took and possessed their land and all their houses and cities that were fenced with high walls, gates and bars, beside their unwalled towns. Sixty cities in all. And they took their spoils from their cities. And Israel took all their cattle and livestock. And the land that Israel began to possess, Moses gave to The Tribes of Reuben and Gad, and half The Tribe of Manasseh. THIS IS SUCH A KEY SCRIPTURE. The word WITHERS in Hebrew, as in The Grass Withers is YAH’VAYSH. And the word FADES in Hebrew, as in The Flower FADES is NAH’VAYL. Meaning, The Grass Withers. It Dries Up. And it Shrivels and Fades Away. But in Human terms, The Grass that Withers is CONFUSED and UTTERLY FADES AWAY. The Flower on the other hand Fades. It Wilts and Falls, and becomes Vile. However in Human terms, the meaning is this. THE FLOWER FADING AWAY IS FOOLISH, WICKED, DESPISED, AND A DISGRACE. IT IS DISHONORED, VILE, AND COMES TO NOTHING. THAT IS A PORTRAIT OF A BIBLE TEACHER WHO TEACHES FALSE BIBLE DOCTRINE. BECAUSE THE WORD OF OUR GOD STANDS FOREVER. THE WORD OF OUR GOD NEVER WITHERS, NOR DOES THE WORD OF OUR GOD EVER FADE AWAY. But like the grass that withers and the flower that fades away, the Bible teacher who teaches false doctrine that GOD’S Law of Moses, is abolished, is Confused, Wicked, Foolish, Despised, a Disgrace, Dishonored, Vile, and Comes To Nothing. THE BIBLE TEACHER MUST KNOW, BELIEVE AND UNDERSTAND THAT THE BIBLE SAYS, THE WORD OF OUR GOD SHALL STAND FOREVER. BECAUSE THAT IS KEY TO TEACHING AND UNDERSTANDING GOD AND THE BIBLE. GENESIS 15.13 GOD told Abram, Know for certain. Know that this will Certainly Happen that your descendants, The Children of Israel will be strangers in a land that is not theirs. That land, of course, turned out to be Egypt. And at the time, GOD was speaking to him, Abram had no descendants. He had no children. And The LORD continued, And they will serve them. Abraham’s Jewish descendants will serve the Egyptians. The word SERVE in Hebrew is AHVAHD meaning, Abraham’s descendants will be SERVANTS AND SLAVES to the Egyptians. And the Egyptians will afflict them. They will Humble The Children of Israel as slaves. They will distress them with mental and bodily pain. They will beat them down, and destroy them for four hundred years. And we know that happened in Egypt. The Jewish People remember that well at their Passover Seders every year. GENESIS 15.14 Then The LORD GOD Said to Abram, That nation that your People will serve, I will Judge. The Hebrew Word for JUDGE is DAHN, meaning, GOD will execute JUDGMENT upon the Egyptians according to Law. GOD’S Law. The Law of Moses. Abraham was about eighty years old when GOD told him the future of His People. GENESIS 15.16 But in the fourth generation, that is after four hundred years of slavery in Egypt, GOD said, Your People will come here again. Your People, The Children of Israel will come here to Canaan again. Canaan was where GOD was speaking to Abraham. And Canaan was where Abraham and his wife Sarah were living when GOD gave Abraham these Promises. And, as GOD said, The Children of Israel did come to Canaan. Canaan was The Promised Land. And The Children of Israel fought the Canaanites, defeated them, killed them, and possessed their Land to become Israel’s permanent Homeland as GOD promised Abraham. We’re reading that history now in The Book of Deuteronomy. These Words that GOD spoke to Abraham were about 776 years before The Children of Israel, some three million strong, walked from Egypt to Canaan to conquer and possess the Land of Canaan that GOD renamed The Land of Israel. Just as GOD Covenanted with Abraham. It is Written. And this is very important. GOD told Abraham the reason The Children of Israel would kill the Canaanites, and drive them out of their land, and possess it was because of THE INIQUITY of the Amorites. GOD said, But in the fourth generation Abraham’s descendants, The Children of Israel, shall come here again. For the iniquity of the Amorites is not yet FULL. The Word FULL in Hebrew, as in, The INIQUITY of the Amorites is not yet FULL, is SHAH’LAYM meaning COMPLETE. And in this Scripture, COMPLETE also means, TO BRING TO AN END. Complete has a number of meanings. But in this teaching about the Canaanites, the iniquity of the Canaanites WILL BE COMPLETE and COME TO AN END when The Children of Israel come into Canaan and drive the Canaanites out, and kill them as GOD Commanded The Children of Israel. That is when the iniquity of the Canaanites came to an end because there were so few Canaanites left. INIQUITY in Hebrew is AH’VONE meaning Perversity, Depravity, Evil, and Sin. All the crimes of the Canaanites are punishable by death, even today, unless the person or persons Believe in Messiah Yeshua for Atonement, and Repent, and turn to GOD and live their lives according to GOD’S Teachings, Laws, and Instructions that are written in GOD’S Law of Moses. ISAIAH 53.10, EZEKIEL 18.21, ZECHARIAH 12.10, ROMANS 5.11, MATTHEW 4.4, LUKE 4.4, ETC. But for some crazy reason, the church has abolished The Law of Moses by teaching false doctrine that Jesus Christ abolished GOD’S Law of Moses at His death. THE JESUS CHRIST OF THE BIBLE IS GOD. THE ONE GOD OF CREATION. HE IS GOD ALMIGHTY, JEHOVAH ELOHIM, THE FATHER. THAT IS A LESSON AND A WARNING FOR ALL THE PEOPLES OF THE EARTH. HERE’S A SIMPLE TEACHING. IF ANYTHING DOES NOT AGREE WITH THE LAW OF MOSES, IT IS WRONG. BACK TO GENESIS 15.17 The smoking furnace, and a burning lamp that passed between the animal sacrifice pieces was GOD Ratifying His Covenant with Abraham. Making GOD’S Covenant Official, Permanent, Valid, and Everlasting. That The Land of Israel belongs to The Jewish People for an Everlasting Possession. GENESIS 15.18-21 The same day, The LORD made a Covenant with Abram saying, Unto your descendants have I given this Land, from The River of Egypt, to The Great River, The River Euphrates. The Kenites, the Kenizzites, the Kadmonites, the Hittites, the Perizzites, the Rephaim, the Amorites, the Canaanites, the Girgashites, and the Jebusites. Those were peoples and nations living in the land of Canaan. And those are The GOD-Given Boundaries of Israel. And those will be the boundaries of Israel from a River in Egypt to The Euphrates River when THE LORD GOD, MESSIAH YESHUA Returns from Heaven with His Holy Ones to establish His Messianic Kingdom in Israel for one thousand years that will be like The Garden of Eden. ACTS 5.32 GOD GIVES THE HOLY SPIRIT TO THOSE WHO OBEY HIM. THAT IS, THOSE WHO OBEY THE WORD OF GOD THAT INCLUDES THE LAW OF MOSES. ACTS 6. 3, 4, 7 VERSE 4 THE MINISTRY OF MESSIAH’S DISCIPLES AND APOSTLES WAS TO MINISTER THE WORD OF GOD. AND THE WORD OF GOD INCLUDES THE LAW OF MOSES. VERSE 7 NOT THAT THE DISCIPLES ADDED TO THE WORD OF GOD. THEY DIDN’T. THAT IS NOT LAWFUL. BUT THE NUMBER OF MESSIAH’S DISCIPLES WHO HEARD THE WORD OF GOD, AND TAUGHT THE WORD OF GOD GREW AND MULTIPLIED GREATLY IN JERUSALEM. The Bible Teaches that GOD has given The Jewish People The Land from The River of Egypt to The Great River, The River Euphrates. That is The Land of Israel. And those Borders will quickly return to The Jewish People when The Messiah Yeshua Returns from Heaven with His Holy Ones. And GOD will restore that Land for His Jewish People and all non-Jewish People who belong to Messiah Yeshua. And the Land will be like The Garden of Eden. Our Teaching from Torah, GOD’S Law of Moses will continue from Deuteronomy 2.13-25. AND THE TITLE OF OUR MESSAGE IS, GOD SPOKE THE CREATION INTO EXISTENCE. And with that said, let’s read Deuteronomy 2.13-25. And now, The Jewish People are at the doorstep of Canaan. And the time is near for them to go in and possess The Land that The LORD promised them. I think of the Words Written in the entire Chapter of Genesis from Chapter One to the Fiftieth Chapter. And perhaps to Exodus Chapter 3 when Moses met GOD at the burning bush in Mount Sinai. Remember, Moses received his mission from GOD to lead The Children of Israel out of Egypt some 3,370 years after The Creation, and about 500 years after Abraham, the founder and father of The Jewish People died. Moses was not even born during the days of Genesis. And The LORD had Moses write the five Books of Torah, The Law of Moses in Genesis, Exodus, Leviticus, Numbers and Deuteronomy. The Book of Genesis, as you know, begins with The Creation and ends with the death of Joseph. And The Book of Exodus begins with the names of the Children of Israel who came into Egypt. Seventy in all including Joseph who was already in Egypt. That was the total population of The Jewish People. All descended from Jacob and his twelve sons. And in time, after Joseph’s death, The Children of Israel had become slaves under the brutal hand of the Egyptians for 400 years before Moses met GOD at the burning bush. A bush that was on fire, but did not consume. Moses was 80 years old when he met GOD at the burning bush. So shortly after leading The Children of Israel out of Egypt on their way to The Promised Land Canaan, GOD gave Moses all His Words about The Creation that are written in the First Chapter of Genesis. LUKE 9.14-17 MESSIAH YESHUA, GOD ALMIGHTY CREATED THE FOOD IN FRONT OF THEIR EYES. And GOD told Moses about Adam and Eve in The Garden of Eden with the serpent satan who tricked them both into disobeying GOD that brought sin and death into the world. And GOD spoke to Moses about the descendants of Adam and Eve, and the flood in Noah’s day. And The LORD told Moses about Noah. That Noah was a Just man. Meaning that Noah was Righteous and Perfect because he followed The Laws of GOD in his day. And Noah walked with GOD. And GOD saved Noah and his family from death in the flood. The only people that GOD saved alive. Eight in all. Being Just and Righteous apply today every bit as being Just and Righteous in Noah’s day. Today, walking with GOD is living by GOD’S Torah, His Law of Moses. Or as Yeshua The Messiah says, Living by every Word that proceeds out of The Mouth of GOD. Noah and his wife, and his three sons, Shem, Ham, and Japheth and their wives, a total of eight people were the only people that GOD saved from the flood. Because Noah was a Just man and Perfect in his generations. Noah walked with GOD. GENESIS 6.13 The word VIOLENCE comes from the Hebrew word HAMAS, meaning WRONG, UNRIGHTEOUS AND VIOLENT. WRONG meaning the people of the earth were lawless, not obeying GOD, and dishonest and violent. Like today. ACTS 8.4 The Jewish Believers in The Messiah Yeshua, not the Church, continued to Preach The Word of GOD. GOD told Moses of the birth of Abraham. That GOD took Abraham and Sarah out of the Gentiles and made them Jewish and the founders and father and mother of The Jewish People. When you read Genesis and The Entire Bible, you read about GOD guiding the events of history. From the Beginning, and there is no Beginning with GOD. And throughout Eternity. And there is no end to Eternity. So all the events in Genesis from The Creation to The Covenant GOD made with Abraham, the births of Isaac and Jacob, and Jacob’s twelve sons who were the fathers of The Twelve Tribes of Israel. The stories of Jacob’s son Joseph. And the names of the Children of Israel, seventy in all, that went down from Canaan to Egypt because of a great famine in the region, for GOD to make of Abraham The Great Nation of Israel in the land of Egypt, THE LORD GOD ALMIGHTY, YESHUA THE MESSIAH TOLD MOSES FACE TO FACE. During the time The Children of Israel walked to the Promised Land in the wilderness, GOD gave Moses His Torah. His Laws, Teachings, and Instructions called The Law of Moses that is GOD’S Doctrine for all mankind to live by. And Moses said to The People, We journeyed to the brook Zared. And it was thirty-eight years from the time of the Exodus that all the generation of the men of war died as The LORD swore to them. Because they complained against GOD when the spies brought back an evil report about the land of Canaan. And they disobeyed GOD by refusing to go up into Canaan and fight and possess the Land as The LORD had promised them. And Moses said to The People, For indeed The Hand of The LORD was against them, to destroy them from among The Congregation until they were consumed. So Moses said, When all the men of war were consumed and dead, The LORD spoke to me, saying, You are to pass over through the City of Ar by the coast of Moab today. And when you come near the children of Ammon, do not distress them or meddle with them for I will not give you of the land of Ammon any possession because I have given it to the children of Lot for a possession. And GOD told Moses that He did the same for the children of Esau who live in Seir. GOD destroyed the Horim from before the children of Esau. And the people of Esau succeeded them and drove them out of their land. And the people of Esau live there until this day. Until this day was in the days of Moses. Jordanians live there today because that land is in current-day Jordan. The Avim, were a Canaanite people who lived in Hazerim in or near Gaza, and were driven out of their land by the Caphtorim. The Caphtorim were an Egyptian people. GENESIS 10.6, 13 Mitzraim is Egypt. And Moses continued his review, and he told The Children of Israel that GOD said, Rise up, and take your journey and pass over the River Arnon. The River Arnon was in current-day Jordan, in ancient Moab near the Dead Sea. And GOD said to Moses, Behold, I have given into your hand Sihon, the Amorite King of Heshbon and his land. Begin to possess his land and contend with him in battle. Heshbon was the Capital City of Sihon the King of the Amorites. This day, The LORD said, I will begin to put the dread of you, and the fear of you upon the nations that are under the whole Heaven who hear a report about you. And they will tremble, and agonize because of you. So Moses said, I sent messengers to Sihon the King with words of peace, saying, Let me pass through your land. I will go along the highway. I will not turn to the right hand nor to the left. You shall sell me food and water for money. We will only pass through on foot. Just as we did with the children of Esau who dwell in Seir, and the Moabites who live in Ar, until I pass over the Jordan River into the Land which The LORD our GOD gives to us. But Sihon the King would not let us pass by him. For The LORD Your GOD hardened his spirit, and made him stubborn so The LORD would deliver him into your hand, just as He is doing this day. And The LORD said to me, Behold, I have begun to give you Sihon the King, and his land. Begin to Possess it and Inherit it. Remember, GOD owns everything. Even all the earth. It belongs to GOD. He Created it. And GOD gives it to whomsoever it is that pleases Him. And Moses said, Sihon the King came out against us, he and all his people to fight. And we took all his cities, and utterly destroyed the men, and the women, and the little ones of every city. We left none to remain. A Time is Coming when The LORD, THE MESSIAH YESHUA, THE LORD GOD ALMIGHTY, THE HOLY ONE OF ISRAEL, HA SHEM ELOHIM, THE LION OF JUDAH will Return from Heaven, and come to Israel with all His K’do’shim, His Holy Ones. And He will drive out the Palestinian Arabs from Israel, and the Hamas from Gaza, and the enemy from the Sinai, and the Lebanese and Hezbullah from Lebanon, and the Syrians from much of Syria, and the Iraqis from much of Iraq, and the Egyptians from a portion of Egypt. And Israel will reclaim her GOD-Given Borders from a River in Egypt to the Euphrates River. That will be the time of The One Thousand Year Messianic Kingdom On Earth in Israel when MESSIAH YESHUA, THE LORD GOD ALMIGHTY will be King over all the earth from His Throne in Jerusalem, The Jewish Holy City, The Capital of Israel. And the Ransomed of The LORD will return, and come to Zion with songs and everlasting joy upon their heads. They will obtain joy and gladness, and sorrow and sighing will flee away, forever. Our teaching from Torah, The Law of Moses will continue from Deuteronomy 2.1-12. AND THE TITLE OF OUR MESSAGE IS, REPLACEMENT THEOLOGY. After reviewing the episode of the twelve spies of which ten brought a false report about the land of Canaan, and the harsh judgment that The LORD ruled against The People for complaining against Him and rejecting His Commandment to go in and possess the land of Canaan, Moses continued to review The Torah with His People, The Children of Israel. The Torah is The Law of Moses written in the first five books of The Bible. And in reviewing The Torah, GOD also spoke to Moses about certain ancient peoples whom The LORD GOD drove out of their lands to give to the Moabites and the children of Esau. And Moses said, we turned and took our journey from Kadesh into the wilderness by the way of the Red Sea as The LORD Commanded me. Kadesh was, and maybe still is in the Sinai Peninsula. And Moses said, The LORD spoke to me, saying, You have surrounded Mount Seir long enough. Turn and go northward. That was the direction to the Promised Land Canaan. And Command The People that they are to pass through the coast of their brethren, the children of Esau who dwell in the Land of Seir. And they will be afraid of you. Esau became the father of the Edomites, and GOD gave him the land of Seir. Seir was located in today’s Jordan. And The LORD told Moses, don’t meddle with the people of Esau, for I will not give you of their land not so much as a footbreadth because I have given Mount Seir to Esau for a possession. You shall buy food and water from them, for The LORD Your GOD has blessed you in all the works of your hand. He knows your walking through this great wilderness. And during these forty years The LORD Your GOD has been with you. You have lacked nothing. And Moses said to The People, When we passed by our brethren the Children of Esau who live in Seir, we turned and passed by the way of the wilderness of Moab. The Wilderness of Moab was also in current-day Jordan. And The LORD said to me, Do not be hostile to the Moabites. Do not contend with them in battle for I will not give you of their land for a possession because I have given the City of Ar to The Children of Lot for a possession. Ar was a Moabite City. The Moabites descend from Moab, the grandson of Lot. Loyalty means Faithfulness. The Hebrew for Faithfulness is EH’MOO’NAH. And The Bible says, GOD’S Faithfulness reaches the clouds. His Faithfulness is established in The Heavens. And GOD’S Faithfulness is in The Congregation of The Saints. The Congregation of The Saints is GOD’S Chosen People, The Jewish People, His Holy Ones. And GOD’s faithfulness is to all generations. So why, knowing GOD’S Loyalty and Faithfulness, and certainly GOD’S Loyalty and Faithfulness to His Jewish People whom GOD has Chosen to be a Special People to Himself above all people that are upon the face of the earth, and His Witnesses to the world, Why do so many Theologians and Teachers of The Bible who have many letters after their names teach Replacement Theology? Most of you know what Replacement Theology is. Replacement Theology, also called Supersessionism, teaches that because The Jewish People rejected Christ, the Christian Church has replaced The Jewish People in GOD’S Plan as GOD’S Chosen People. What different Church god invented this Replacement Theology Plan? The Church god called the father? Or the Church god called the son? Or the Church god called the holy spirit? Replacement Theology also teaches that The Jewish People no longer have a valid relationship with GOD unless they become Christians. And wait. There’s more. Replacement Theology also teaches that GOD does not have specific future plans for Israel and The Jewish People because all The Promises that GOD made to Israel and The Jewish People in The Bible are fulfilled and complete in the Church. Wait. There’s even more. Many Theologians and Bible Teachers call the Christian Church The Israel of GOD. And the King James Version has the audacity to write in its Bible in Acts 7:38 that the Children of Israel were the Church in the wilderness. That is the ultimate lie of Replacement Theology. The Church also teaches that after ACTS Chapter 2, any mention of Israel in The Bible must be replaced with the word Church. ACTS Chapter 2 records an event that took place fifty days after the Jewish Messiah Yeshua was killed, buried and resurrected. The event was on The LORD’S Festival Day of Shavuot, also called Pentecost, and three thousand Jewish People received their Jewish Messiah Yeshua. But the Church has dishonestly converted these Jewish People into Christians and teach that any mention of Israel in The Bible after ACTS Chapter 2 must be replaced by the word Church. I heard a Pastor say that the mention of Israel anywhere in The Bible should be replaced with the word Church. And there is even more. Replacement Theology teaches that the New Covenant, also called the New Testament replaced the Mosaic Covenant, and brought it to an end. THE MOSAIC COVENANT IS THE TORAH, THE LAW OF MOSES THAT CONTAINS ALL GOD’S LAWS, TEACHINGS AND INSTRUCTIONS THAT ARE WRITTEN IN THE FIRST FIVE BOOKS OF THE BIBLE. GOD SPOKE TO MOSES FACE TO FACE AS A MAN SPEAKS TO HIS FRIEND WHEN HE GAVE MOSES HIS LAWS, TEACHINGS AND INSTRUCTIONS THAT ARE WRITTEN IN THE LAW OF MOSES FOR ALL THE WORLD TO LIVE BY. YET THE CHURCH HAS ABOLISHED THEM ALL. The Church says, we are saved by Grace. GOD’S Grace has conditions. Those conditions are obedience to GOD’S Torah, His Law of Moses that the Church abolished. SO YES, THE CHURCH HAS ABOLISHED ALL GOD’S LAWS, ALL GOD’S TEACHINGS, AND ALL GOD’S INSTRUCTIONS. LEAVING THE CHURCH LAWLESS IN THE SIGHT OF GOD. LAWLESS COMES FROM THE GREEK WORD “ANOMOS” MEANING WICKED, UNLAWFUL AND TRANSGRESSOR. And concerning the Jewish People who have rejected Messiah whom the Church calls Christ is not entirely true. Many Messianic Jews from the days of Messiah to this day, including me, believe in The Jewish Messiah Yeshua whom the Church calls Jesus. Think of Messiah Yeshua’s Disciples and Apostles, and Paul. All were Jewish. Not one converted to Christianity. But listen, had not The Jewish People turned Messiah over to the Romans to be crucified, there would be no Atonement, no Forgiveness of sins for the Church, or for anyone. And no Salvation because there would be no Atonement from the sacrificial death of The Messiah Yeshua. Meaning there would be no Eternal Life in Heaven for anyone. But The Jewish People saved the day. For GOD so loved the world. The Jewish Messiah Yeshua came the first time 2,000 years ago to give His Life for our Atonement, for the Forgiveness of our sins for all the world. And GOD appointed His Chosen People, The Jewish People whom He loves with an Everlasting Love, with the unenviable task of carrying out His Plan for Atonement, unknowingly, by delivering Messiah to the Roman Gentiles for death. That is Prophesied in TNAKH, The Old Testament Scriptures. GOD gave His Law of Moses to The Jewish People to obey His Laws. And GOD also gave His Law of Moses to the world for them to obey after they receive The Jewish Messiah Yeshua so Gentiles could also receive Atonement and Eternal Life. For GOD says in Jeremiah 31.33, I will put My LAW in their inward parts, and write it in their hearts. And I will be their GOD, and they shall be My People. GOD put His Law in your inward parts, and wrote it in your heart for you to obey them. GOD’S Laws are written in The Bible that GOD ordained The Jewish People to write. That is GOD’S Plan for Salvation. Faith in Messiah Yeshua for Atonement followed by Obedience to GOD’S Law of Moses for Eternal Life. I never heard anyone in the Church Praise The LORD for The Jewish People. GOD is not a man that He lies, nor is He the son of man who changes His Mind. No One can replace The Jewish People as GOD’s Chosen People. Don’t the Theologians and the Bible Teachers get it? Rather than slandering The Jewish People with Replacement Theology, the Church should be Praising GOD for The Jewish People for bringing them the Bible. But wait, there is even more. Something called Covenant Theology. Covenant Theology teaches that the Church is an expansion of Israel. How can the Church be an expansion of Israel when the Church has abolished every Law, every Teaching, and every Instruction of GOD that is written in The Law of Moses in the first five Books of The Bible??? Add to that, the majority of the Church has rejected GOD’S Teaching that there is Only ONE GOD AND NO OTHERS. Because much of the Church has replaced GOD’S Teaching with the trinity of three different gods. And that is paganism. How can the Church be chosen by GOD? How can the Church even consider themselves to be an extension of Israel? Have these Theologians and Bible teachers not read The Bible? That GOD’S Word endures forever? It never changes nor does His Word ever end. Jesus Christ, if they read The Bible, teaches these Theologians and those like-minded people that they are to live by every Word of GOD. They are to live by every Word of GOD written in The Old Testament and The New Testament. Yes, Every Word of GOD must be obeyed by Christians, and Jews and all peoples!!! Paul, who is adored by the Church writes, Has GOD cast away His People? GOD FORBID. GOD has not cast away His People whom He foreknew. For I also am an Israelite, of the seed of Abraham, of the Tribe of Benjamin. GOD knew way before He created the world that He would Choose The Jewish People to be His Chosen People. To be His Servant, and His Witnesses to the World. To write The Complete Bible from Genesis through Revelation so the world would Know GOD, and Believe GOD, and Understand GOD, and Obey GOD For Their Good. And know unconditionally, without question that there is Only One GOD and not three different gods as the trinity teaches. Paul also writes that The Gifts and Calling of GOD are IRREVOCABLE. The word IRREVOCABLE, as you well know, means that The Gifts of GOD and The Calling of GOD CANNOT BE CHANGED OR REVERSED. THEY ARE FINAL. The Jewish People remain GOD’S Chosen People forever. But GOD invites the Church who teach from The Jewish Bible, and GOD invites all Peoples to join in with The Jewish People and become fully part of GOD’S Chosen People. And receive Atonement and Salvation through The Jewish Messiah Yeshua by Repenting. Turning from all their sins that they have committed by breaking GOD’S Law of Moses. 1 John 3.4 And Turning to The GOD of Israel to lead a Lawful Life that is Right with GOD by obeying all GOD’S Statutes that are written in The Bible in The Law of Moses. And GOD will gladly receive the Church and all Gentiles, and all Jewish People who turn to The LORD and obey all His Laws, Teachings, and Instructions that are written in The Law of Moses. They are not difficult, John writes. And have faith in The Jewish Messiah Yeshua Who is THE ONE GOD, THE GOD OF ISRAEL, GOD ALMIGHTY THE FATHER. GOD is a Faithful and Loyal GOD to you, to me, to all who are His, and certainly to His Jewish People who have made mistakes and still continue to make mistakes. But no one can, or ever will replace Israel and The Jewish People as GOD’S Chosen People. No not one. GOD Blesses those who Bless Abraham and The Jewish People, and The State of Israel. But GOD Curses those who Curse Abraham, or The Jewish People, Or the State of Israel. 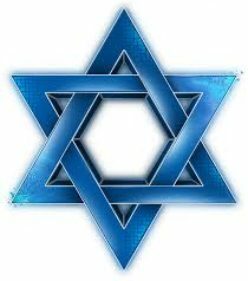 And all the families of the earth are blessed in The Jewish People and Israel. Not the church. Replacement Theology is a lie, and it does not bless The Jewish People, or anyone else. Our teaching will continue from Torah, The Law of Moses from Deuteronomy 1.19-28. AND THE TITLE OF OUR MESSAGE IS, CALEB HAD A DIFFERENT SPIRIT. So with that said, let’s read Deuteronomy 1.19-28. Remember, in the Book of Deuteronomy, Moses reviewed The Torah to The Children of Israel. The Torah contains all GOD’S Laws, Teachings and Instructions that are written in The Law of Moses in the first five Books of The Bible. David wrote a Psalm, and in it he wrote, What is man that you are mindful of him? And the son of man that you visit him? PSALM 8.5 IN THE HEBREW BIBLE, AND PSALM 8.4 IN THE CHRISTIAN BIBLE. THE WORD MINDFUL IN HEBREW IS ZAH’KHAR MEANING TO REMEMBER. GOD REMEMBERS YOU ALWAYS. YOU ARE ALWAYS REMEMBERED BEFORE GOD. AND GOD VISITS YOU. HE HELPS YOU, DELIVERS YOU, SAVES YOU, HEALS YOU. GOD DOES EVERYTHING FOR YOU. You remember the event. The LORD told Moses to send men to search out the land of Canaan that GOD has given to The Children of Israel for an Everlasting Possession. Send a man, The LORD said to Moses, a ruler from each Tribe to search the land of Canaan. And Moses told those men to spy out the land and see what the land is, and the people who live in it. Are they strong or weak, few or many? Is the land good or bad? Fat or lean? Do they live in tents or strongholds? Is there wood in the land or not? And be of good courage, Moses said, and bring back some of the fruit of the land. So they went up and searched the land. And after forty days, the spies returned and they went to Moses and Aaron and all The Congregation of The Children of Israel, and showed them the beautiful fruit of the land. And the spies told Moses and The Congregation, the land flows with milk and honey. But the people are strong that live in the land. And the cities are walled and great. But we are not able to go up against these people because they are stronger than we are. And ten of the twelve spies told Moses and the People, the land that we searched out devours the people who live in it. And all the people we saw in the land are huge. And we saw giants. And we were like grasshoppers in their sight, and in our own sight. But Caleb, one of the spies quieted the People of their fear and complaining, and said, let us go up right now, and possess the land because we are able to overcome it. But The Congregation cried and wept and complained against Moses and Aaron. And they rebelled against the Commandment of The LORD Who said, Send men to search the land of Canaan WHICH I GIVE TO THE CHILDREN OF ISRAEL. But the People rejected the Commandment of The LORD and refused to go up and fight and possess the land of Canaan as The LORD Commanded them. And The LORD said to Moses, How long will this People provoke Me? And HOW LONG WILL IT BE BEFORE THEY BELIEVE ME for all the signs I have shown among them? I will strike them with the pestilence and disinherit them and make of you a great Nation and mightier than they. And Moses moved The LORD to change His Mind. But The LORD said, As truly as I live, all the earth shall be filled with The Glory of The LORD. But all those men who have seen My Glory, and My Miracles that I did in Egypt and in the wilderness, and they have tested Me these ten times, and have doubted My Power, and have not obeyed Me, they will not see the land that I swore to their fathers. Neither shall any of them that provoked me see the land. But My servants Caleb and Joshua, because they had a different Spirit, and they fully followed Me. Them will I bring into the land where they went, and their descendants shall possess the land. As truly as I live, The LORD said, as The Children of Israel have spoken in My Ears, so will I do to them. Their carcasses will fall in the wilderness. All those from twenty years old and above who have complained against Me. And their children shall wander in the wilderness forty years and bear the unfaithfulness of those who complained against Me until the carcasses of the complainers are wasted in the wilderness. After the number of days in which you searched out the land, even forty days, The LORD said, each day for a year shall you bear your iniquities, even forty years. Israel rejecting GOD’S Command reminds me of the beginning of Creation in The Garden of Eden when Adam and Eve refused to do what GOD Commanded them to do. Do not eat the fruit of The tree of the knowledge of good and evil, The LORD said to Adam. Adam and Eve’s refusal to obey The LORD was the beginning of sin. The same sin The Children of Israel in the wilderness committed. Refusing to obey GOD’S Command. Refusing to go up and fight for The Land that GOD Promised The Children of Israel to give them for an Everlasting Possession. And the same sin exists today throughout the world. Refusing to Obey GOD’S Commands. Refusing to Obey GOD’S Laws, Teachings, and Instructions that are written in The Law of Moses. IT IS RIDICULOUS, ABSURD THAT WE ARE TOLD, EVEN TAUGHT IN GREAT RELIGIOUS SETTINGS THAT IT IS NOT NECESSARY TO OBEY GOD’S LAW OF MOSES. ONE OF THE MOST IMPORTANT PROMISES GOD MAKES, MAYBE HIS MOST IMPORTANT PROMISE, IS THAT GOD NEVER CHANGES. GOD DOES NOT CHANGE HIS MIND. HIS WORD STANDS FOREVER. IT NEVER CHANGES. SOME TEACH THAT WE WILL LOSE OUR SALVATION IF WE OBEY THE LAW OF MOSES. SOME CALL OBEYING THE LAW OF MOSES, LEGALISM AS THOUGH OBEYING GOD IS A CRIME AGAINST HUMANITY. The LORD wasn’t happy in The Garden of Eden when Adam and Eve disobeyed The LORD and listened to satan. And GOD wasn’t happy with His Jewish People when they disobeyed GOD in the wilderness. GOD’S punishments to mankind because of Adam and Eve’s sin against GOD brought evil into the world. And with that evil came sorrow, trials, tribulation, troubles and hardship, stress, blood, sweat and tears, sickness, pain and death. I’m not telling you anything you don’t know. The serpent lost its legs. Anti-Semitism was Prophesied by GOD, and it is evil and ugly. The woman has sorrow in her conception, and in bringing forth children. And her desire is to her husband, and her husband rules over her. The ground is cursed because of Adam’s sin. And in labor and toil, and sweat we eat food all the days of our life til we return to the ground. For out of the ground Adam was taken. For dust we are, and to dust shall we return. And The LORD kicked Adam and Eve out of The Garden of Eden where GOD created them to live forever. And as GOD promised Adam, saying, You will surely die if you disobey Me, Adam and Eve died for disobeying GOD. Adam died when he was nine hundred and thirty years old. REMEMBER THESE SCRIPTURES. REMEMBER THEM WELL BECAUSE THEY ARE SO VERY IMPORTANT IN BELIEVING THE LORD YOUR GOD, AND UNDERSTANDING AND KNOWING HIM. JUST ABOUT EVERYBODY IN THE WORLD BELIEVES IN GOD. BUT GOD HAS A MUCH DEEPER MEANING FOR JUST BELIEVING IN GOD. BELIEVING IN GOD MEANS OBEYING EVERY WORD THAT PROCEEDS OUT OF THE MOUTH OF GOD THAT IS WRITTEN IN THE BIBLE. DEUTERONOMY 8.3, AND MATTHEW 4.4 AND THROUGHOUT THE BIBLE. So what happened to The Children of Israel, GOD’S People for disobeying Him the tenth time? Those over twenty years old who disobeyed The LORD and complained against Him died in the wilderness and never entered The Promised Land. And The Children of Israel wandered in the desert for forty years when the time would have been much shorter had they obeyed The LORD their GOD. Because so many teach against GOD’S Law of Moses, MESSIAH YESHUA WHO IS THE MIGHTY GOD THE EVERLASTING FATHER, HA SHEM ELOHIM says, Beware of false prophets. These false prophets are also religious impostors. Beware of false prophets, Messiah says, which come to you in sheep’s clothing. But inwardly they are ravening wolves. (Biblical fruits are this. Do they obey every Word GOD speaks in the Bible? Do they observe GOD’S Sabbath on Saturday? Do they keep the Festivals of The LORD written in Leviticus 23? Do they obey GOD’S food laws? Do they obey Torah, The Law of Moses that is written in the first five books of The Bible? Do they understand there is only One GOD and Yeshua the Messiah is that One GOD? That He is the Father? Do they understand that the trinity of three different gods is wrong and not biblical? If the answer to any of these questions is no, their fruit is corrupt. Messiah continues, Do men gather grapes from thorns, or figs from thistles? Even so, every good tree brings forth good fruit. But a corrupt tree brings forth evil fruit. A good tree cannot bring forth evil fruit, neither can a corrupt tree bring forth good fruit. Every tree that does not bring forth good fruit is cut down and tossed into the fire. Therefore, by their fruits you shall know them. And Messiah continues, Not every one that says to Me, LORD, LORD shall enter into The Kingdom of Heaven, But he that does the Will of My Father that is in Heaven. Many will say to Me in that day, LORD, LORD, have we not prophesied in Your Name? And in Your Name have cast out devils? And in Your Name done many wonderful works. Caleb had Another Spirit, or as some Bibles say, Caleb had a Different Spirit. CERTAINLY CALEB HAD THE HOLY SPIRIT BECAUSE HE OBEYED GOD. By obeying GOD. By obeying His every word that is written in The Bible. So after GOD passed hard judgment on The Children of Israel, The People said to Moses, we have sinned against The LORD. We will go up into the land of Canaan and fight as The LORD Our GOD Commanded us. And when the People strapped on their weapons of war, The LORD said to Moses, Say to them, Do not go up. Neither fight. For I am not among you, lest you will be defeated before your enemies. And Moses said, again you would not listen to The LORD. And again you disobeyed The LORD when you went up to fight. And the enemy came out against you, and chased you as bees do, and destroyed you. And you returned and wept before The LORD. But The LORD would not listen to your voice nor give ear to your words. So I say this in conclusion. The LORD so loved the world that He gave The Bible from Genesis through Revelation to all mankind, written by Jewish People for the world to Know GOD, To Believe GOD, To Understand GOD, and To Obey GOD. And The LORD so loves the World that He gave all the nations of the World His Laws, Teachings, and Instructions that are written in The Bible, in The Law of Moses, by Jewish People for their good, and for the good of their children. And The LORD so loves the world that He gives Eternal Life in Heaven to those who Believe in The Jewish Messiah Yeshua, and live by His Law of Moses. Written and Taught in The Bible by Jewish People.